Once again vinyl is wildly popular with audiophiles and even with the less discerning music fans who just want something tangible again. Much of that popularity is based on the pure audio that comes from the wax but if you do not own a high quality turntable or if you like your music with a side of Tech. then check out Universal Records’ newly launched High Fidelity Pure Audio campaign. 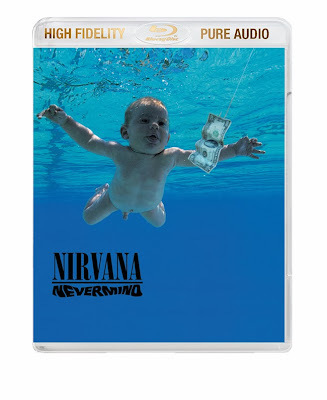 Universal is digging through their massive crates of masters to offer up supreme high fidelity audio editions of such classic albums as Nirvana’s Nevermind and In Utero, The Velvet Underground and Nico, Beck’s Sea Change, as well as albums from The Rolling Stones, Stevie Wonder and John Coltrane. With the larger capacity and higher resolution available on the Blu-Ray discs as opposed to CDs and DVDs, these classic albums have been restored to how they were meant to be heard – pure, rich and uncompressed – and they come in your choice of several different lossless sound formats including PCM, Dolby True HD and DTS HD Master Audio at 2.0 and 5.1 surround sound. As an added bonus, also included with each album is a standard format mp3 download code of the album to be played on music players not equipped for Blu-Ray. The iconic opening guitar riff of Nirvana’s “Smells Like Teen Spirit” has never sounded better!